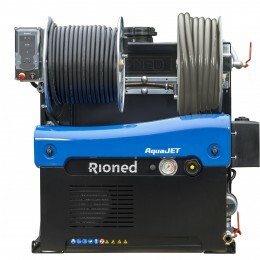 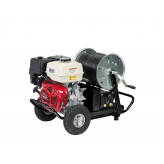 The HD30 mobile high pressure jetting machine is fitted with a petrol engine that guarantees optimal cleaning of small drains and sewers up to 200 mm. 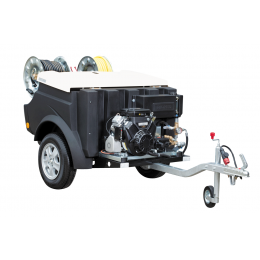 The HD30 is very effective at cleaning street furniture and terraces. 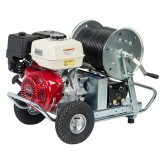 The HD30 can be connected directly to a water supply, therefore eliminating the need for a separate water tank. 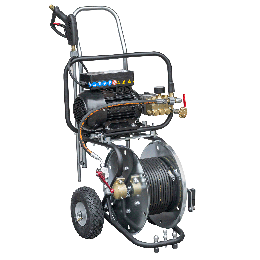 The HD30 is supplied with nozzles and a high pressure gun with lance.